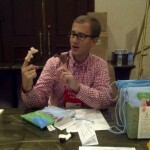 Dan Rude, taking a finger-puppet break during the ALSC Institute. I just returned home, a bit tired but charged with ideas and feelings of camaraderie. I wish I could personally thank all of the presenters, planners, and everyone at ALSC who made the Institute possible, but since I can’t I hope everyone feels a sense of satisfaction for their roles in this successful event. 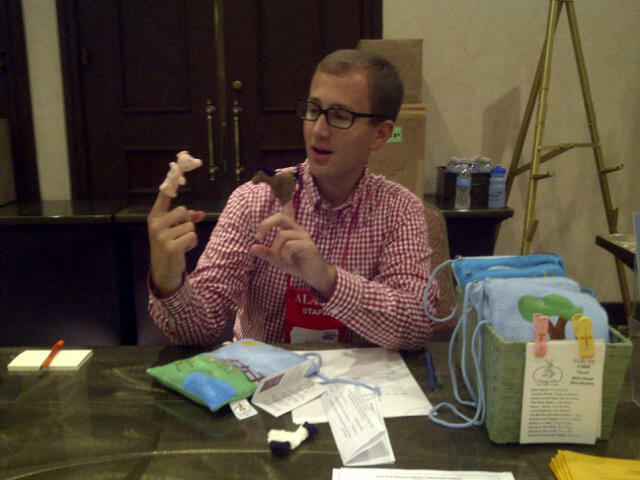 One person I would like to thank is Dan Rude, who keeps us– and everyone else– informed about ALSC events with blogs, press releases, photos, videos, and all manner of communication. Dan’s humor and willingness to always “go the extra mile” is greatly appreciated. Thanks Dan, and everyone!